Q. I set up new employees in the system, but it doesn’t give me the option to transfer changes to our Vetro clock. Can you please help me with this? You can start the program by clicking the “Setup” menu in TimePilot Central and choosing “Vetro Data Manager” or “Clock Manager” (whichever one appears in your version of the software; if you see both, use “Clock Manager”). Once the manager software is running, try transferring your changes again. For more, see this page in the TimePilot Help files. Q. How do I modify an employee’s clock-in or clock-out time? I can’t seem to be able to do it in a report. Giraffes are insomniacs: How much sleep do animals get in an average day? TimePilot Q&A: Checking that an employee clocked in. TimePilot Lead Story: Moving TimePilot to a new computer. The Deal: 10 extra iButtons with purchase of Extreme Blue, Extreme Blue Enhanced, Vetro or Tap+ system. We've noticed that quite a few of our customers are buying new computers, and a frequent question for our tech support specialists is how to move a TimePilot system to a new PC. We covered this topic in an article just over a year ago, and we're re-running it to (we hope) save you a support call or email. After it’s all unpacked and set up and Windows 10 is updated (you did do that, didn’t you? ), you probably want to get TimePilot installed and running. Basically, the TimePilot software comes in two major pieces: the database and TimePilot Central, which works with the database. If you have a network server, the database is probably on the server and TimePilot Central is on a PC. If you don't have a network, both pieces are probably on a single PC. If your TimePilot database is on a server, skip this step and go straight to Step 2. If you’re not sure where your TimePilot database is, start TimePilot Central on the old computer. Click the “Help” menu, then “About.” The “Data Path” indicates its location. (This is why we suggested you temporarily keep TimePilot Central on the old PC.) Now you can uninstall TimePilot Central from the old computer or leave it on there; it’s up to you. If your database is on your old computer and you want to move it to the new one, before you start the installation, copy the folder on the old computer that contains the TimePilot data to a USB drive and paste it onto the new PC’s hard drive. See the box at right to learn where to find the database folder. Using your TimePilot CD, run the TimePilot Installation Wizard to install TimePilot Central and its associated programs (TimePilot Vetro Manager or Clock Manager, Crystal Reports viewer, etc.) on the new computer. Don’t uninstall TimePilot Central from the old computer just yet—you may need it later in the setup process. Can't find your CD? Our download page is here, or you can contact TimePilot tech support for advice. You'll also be asked for your software serial number. It's on a sticker attached to the printed warranty information that came with your clock, or, if you have an older TimePilot product, on the inside cover of the user manual. Can't find your number? Contact TimePilot tech support for advice. This bonus is available for a limited time. 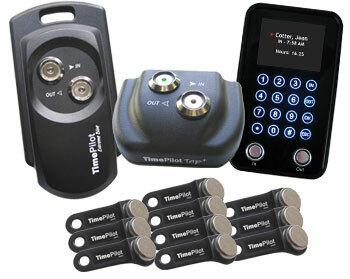 To learn more about the deal, click here, visit www.TimePilot.com/newsletter/newsletter4.htm or call us at 1-630-879-6400.